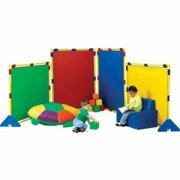 Colorful, stimulating and functional, Children's Factory interlocking PlayPanels make it easy for kids to engage in dramatic play. 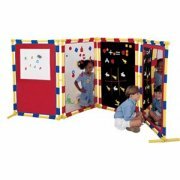 PlayPanels are ideal for nursery schools and daycare centers where big classrooms need to be divided into separate sections. Panels can be used as room dividers to screen off separate spaces or to conceal stacks of extra equipment. Pedestal legs keep panels standing straight. 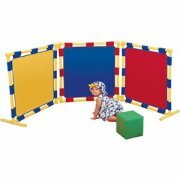 Selection of PlayPanel sets includes models that are suitable for infants, toddlers, and preschoolers. 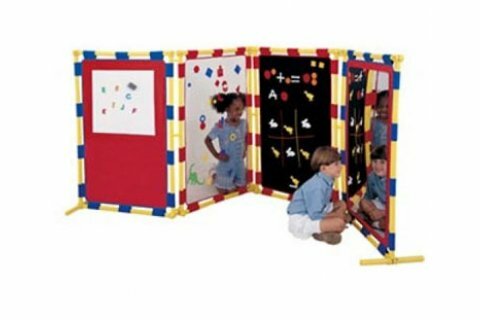 With Children's Factory PlayPanels, kids can explore their creative side in an educational way. 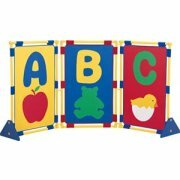 Wide Selection: PlayPanel series includes a variety of models in designs that are appropriate for infants, toddlers and preschoolers whether in school, at home or in daycare. Multipurpose: PlayPanels serve as space-defining barriers, colorful decoration and dramatic-play centers. 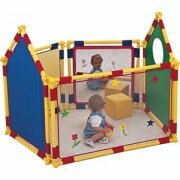 Stable: Pedestal feet keep PlayPanels securely upright.